It was 1934 and a young man walked to London from the security of the Cotswolds to make his fortune. He was to live by playing the violin and by labouring on a London building site. Then, knowing one Spanish phrase, he decided to see Spain. For a year he tramped through a country in which the signs of impending civil war were clearly visible. 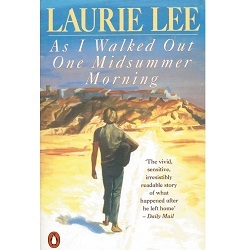 Thirty years later Laurie Lee captured the atmosphere of the Spain he saw with all the freshness and beauty of a young man’s vision, creating a lyrical and lucid picture of the beautiful and violent country that was to involve him inextricably. With his trademark wit and inquisitive eye, H.V. 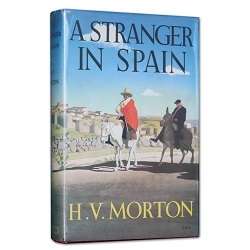 Morton travelled through a Spain unspoilt by tourism, revealing a country where the past was very much alive. Interweaved with written episodes from Spain’s history, this is a journey of discovery that should appeal to those with a sense of adventure. Chris, eternal optimist and itinerant sheep shearer, moves with his wife Ana to a mountain farm in Las Alpujarras, an oddball region in the south of Spain. Misadventures gleefully unfold as Chris discovers that the owner has no intention of leaving and meets their neighbours, an engaging mix of peasant farmers and shepherds, New Age travellers and ex-pats. Their daughter Chloë is born, linking them irrevocably to their new life. 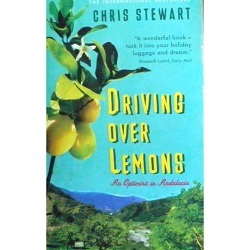 The hero of the piece, however, is the farm itself – a patch of mountain studded with olive, almond and lemon groves, sited on the wrong side of a river, with no access road, water supply or electricity. Could life offer much better than that? 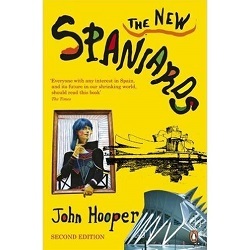 A fully revised, expanded and updated edition of this masterly portrayal of contemporary Spain. 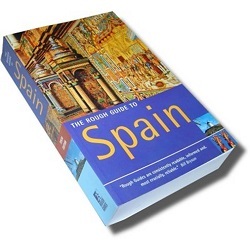 “The Rough Guide to Spain” is the ultimate handbook to one of Europe’s most vibrant countries. Features include: a full-colour section introducing Spain’s highlights; informed accounts of all the sights, from Bilbao’s stunning Guggenheim to the Moorish masterpiece of the Alhambra; first-hand descriptions of the best places to eat, drink and stay in all price ranges; practical tips on exploring the country’s varied landscapes, from the wilds of Galicia to the coves of the Balearics; and lively background on Spain’s history, music, architecture and arts, with the lowdown on every major fiesta.